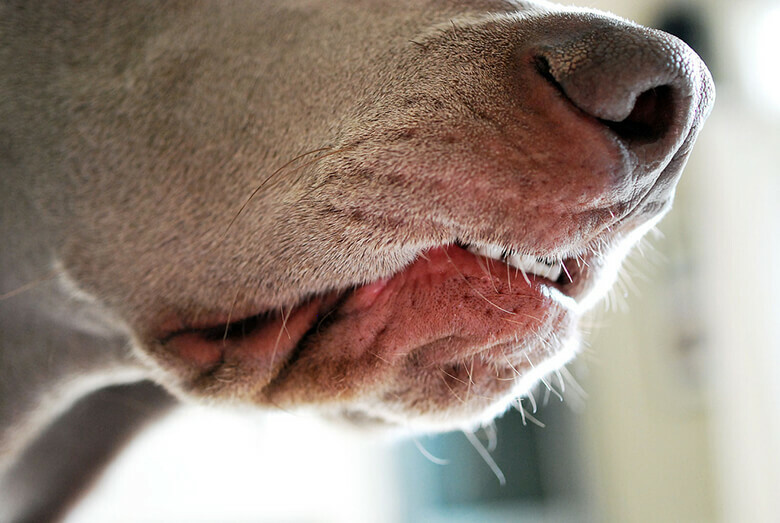 When it comes to your dog’s health, one of the biggest issues areas overlooked is the mouth – and in no way should it be. Indeed, dental disease is the no. 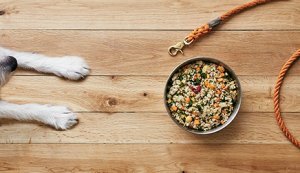 1 health issues in dogs. And if it goes undetected, the implications can go beyond the mouth. 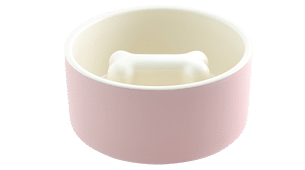 Not only will your pup suffer from swollen gums, loose teeth, tissue destruction and bone loss but the bad bacteria that is overtaking your dog’s mouth, can also wreak havoc on the rest of your dog’s body by seeping into the bloodstream. The heart, liver and kidneys could be affected. Fortunately, periodical disease is preventable. 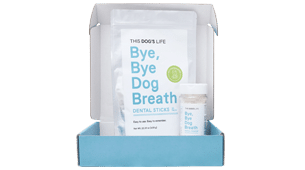 And while it starts at home, with regular dental care, including brushing your dog’s teeth, along with using dental products, like our Bye, Bye Dog Breath dental power and dental sticks, pet owners also need to have regular dental cleanings at the vet. 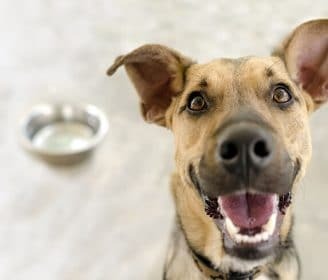 We spoke to Dr. Stapleton at Barrington Animal Hospital in Illinois about some of the top questions pertaining to dog dental care. 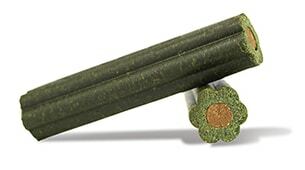 TDL: What do good gums look like? Healthy gums are pink, firm and there is no evidence of gum recession which manifests as root exposure. Unhealthy gums are reddened, more friable and bleed easily when chewing on toys. TDL: How do I know if my dog’s tooth is bothering him or he is experiencing pain in his mouth? Dr. Stapleton: Being head shy can be an indication of oral pain, as can lip smacking. Drooling excessively often happens for a day or two after breaking a tooth and exposing the pulp (nerve canal in the center of the root). Not wanting to chew bones or toys as much or at all and changes in eating habits can also be a warning that dental disease is present and causing pain. 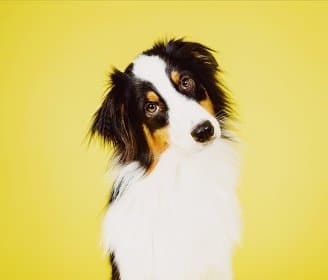 But keep in mind, it can sometimes be difficult to assess pain in a pet, because they have an innate instinct to cover it up until it becomes unbearable – in nature, if they show weakness they become prey. 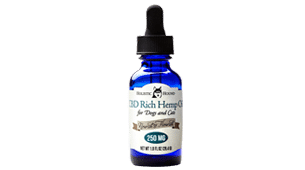 Often the only subtle changes are present such as being more or less clingy, slowing down which is erroneously attributed to aging, rubbing their face on carpet or furniture and the behaviors resolve following proper dental care. 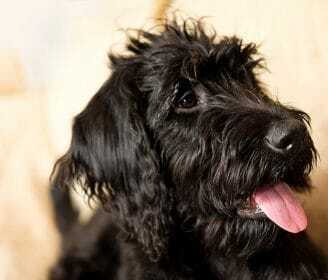 It is not uncommon to hear that dogs are acting like puppies again following treatment. TDL: If dental issues are left untreated, what could happen to my pet? Dr. Stapleton: With periodontal disease, bacteria can enter the bloodstream and affect vital organs such as the kidneys, liver and heart. Teeth are also lost after becoming mobile due to the bone loss, and chewing at this point is painful. Fractured teeth will eventually become abscessed which is also painful. In long standing cases, the side of the face can swell. Although this responds to antibiotics on a temporary basis, until the tooth is removed, the condition will continue to reoccur. When a tooth first breaks and the nerve (pulp) is exposed, it is very painful. Bacteria invade the pulp and cause death of the tooth. If caught early, key teeth can be saved with root canal therapy. Cavities, if not caught early and removed or restored, will invade the pulp chamber with similar consequences to a fractured tooth. Some lower canine tooth malocclusions (misalignment of teeth) can cause trauma to the palate and left untreated can penetrate through the upper jaw bone and into the nasal cavity. Benign oral growths can provide a crevice for bacteria between the tooth and the growth leading to accelerated periodontal disease. Malignant oral growths, unless caught very early, can quickly become life threatening. 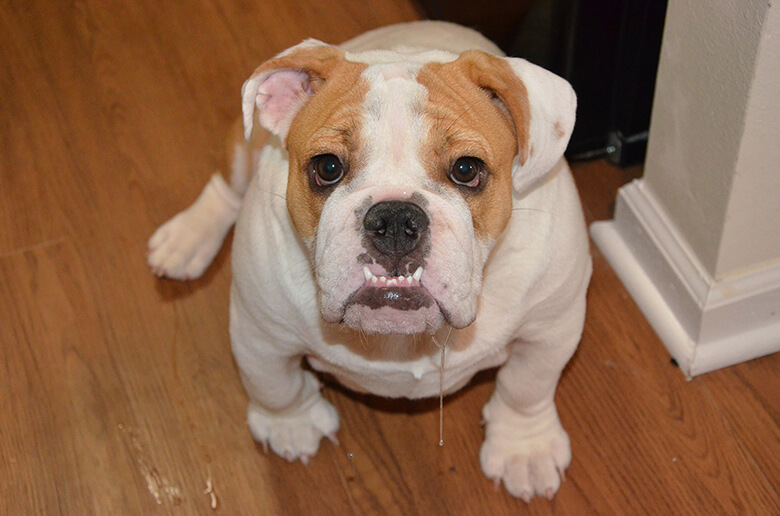 TDL: When should my dog get her first cleaning? Dr. Stapleton: In general, a dog’s teeth should be professionally cleaned every one to three years, depending on their size. 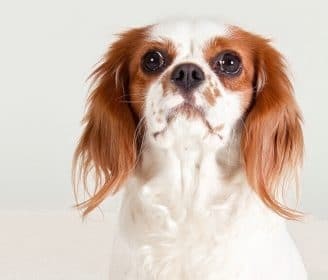 The smaller the breed, the more often the teeth will need to be cleaned, because they are predisposed to periodontal disease (bone loss around the tooth roots due to plaque, calculus and bacteria under the gum line). Teeth should be cleaned when plaque or calculus (mineralized plaque) are visible on the tooth crowns and/or bad breath is present. TDL: During the examination process, what should pet owners ask about their dog’s mouth? 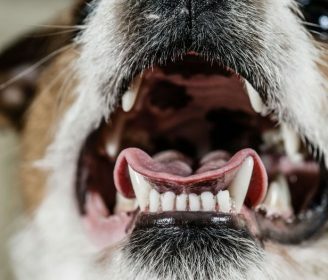 Dr. Stapleton: Pet owners should ask if there is any evidence on examination of gingivitis (gum reddening and inflammation), gum recession, periodontal pocket formation, oral growths, worn or fractured teeth, malocclusions (misaligned teeth) causing an uncomfortable bite or cavities (rarely seen) in dogs. 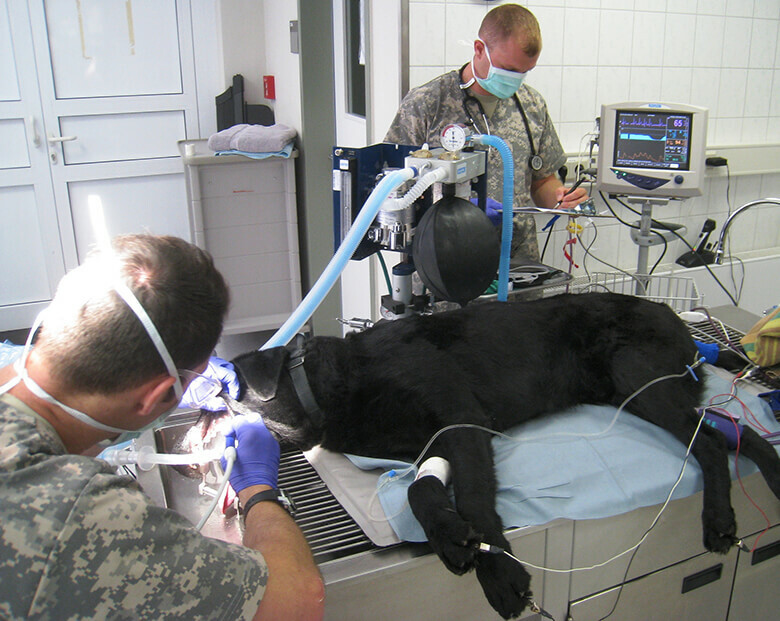 TDL: If my pet gets his teeth professionally cleaned what should I know about anesthesia? Dr. Stapleton: Most importantly you should know if a doctor will be present with your pet at all times when he is under anesthesia. Also ask about what type of anesthesia will be used and what type of monitoring devices are employed. Anesthesia is relatively safe and has advanced tremendously over the years. Unfortunately, there is always risk however that risk can be minimized by attentive monitoring, body temperature control and appropriate preoperative blood testing. It is very rare that a pet cannot have anesthesia due to a concurrent medical issue, but it does happen occasionally. In this case, diligent home care to minimize the plaque and calculus accumulation is paramount to maintain the healthiest mouth possible. There has been a lot of attraction to anesthetic-free cleaning but scaling under the gum line where periodontal disease starts is difficult and treatment of early lesions is impossible. Additionally, the insides of the teeth cannot be accessed for cleaning/probing and the molars in the back of the mouth, where periodontal disease is often present, cannot be adequately examined or cleaned. Pets do not just sit like people and open their mouths. They tend to move around to various degrees and injury from instrument slippage is a potential complication. Dental radiographs (X-rays) are not possible either and a substantial amount of “hidden” pathology is missed when a pet is not anesthetized. 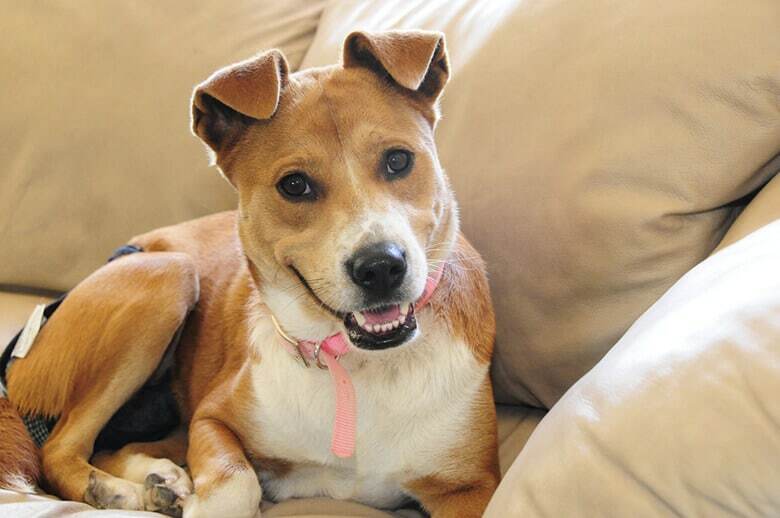 TDL: What sort of procedures are performed when my dog gets her teeth cleaned? Dr. Stapleton: You should expect the following components in a dental cleaning: Scaling the crowns followed by under the gum cleaning of all teeth, application of disclosing solution to determine if any plaque has been missed and subsequent rescaling, polishing all surfaces of the teeth, probing for loss of gum attachment and evidence of periodontal disease by a veterinarian, root planing and subgingival curettage (scaling the root surface and removing the pocket lining) of all early, treatable periodontal pockets, a veterinary visual examination to detect any fractured or worn teeth, oral masses or cavities and dental radiographs at least of suspect areas and preferably of the full mouth. 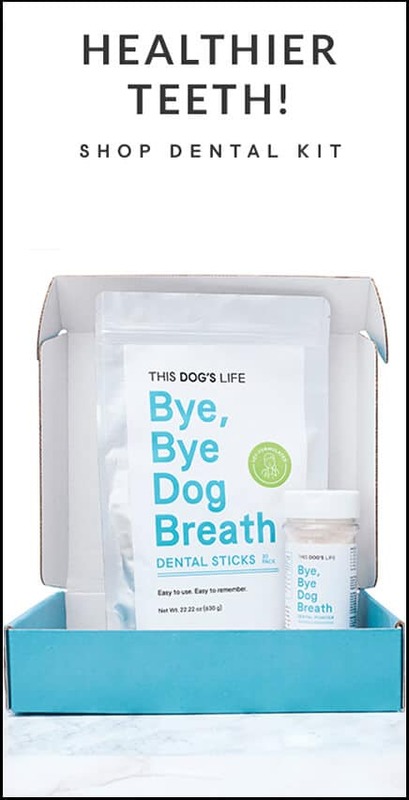 TDL: How should I keep my pet’s mouth healthy at home? Dr. Stapleton: If your pet is agreeable, brushing the teeth on a daily basis will help maintain dental health. But one must remember that we brush and floss our teeth several times a day and still need to get them cleaned. 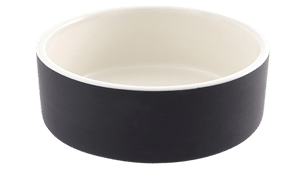 It is no different for pets and home care will not eliminate the need for professional cleanings; it will just help to increase the interval between cleanings. Starting with peanut butter on the brush helps make hesitant dogs more accepting of the procedure. There are also numerous dental products on the market ranging from water additives to mouth rinses and gels, tartar control treats, bones and even food. Related: Stinky Dog Breath? 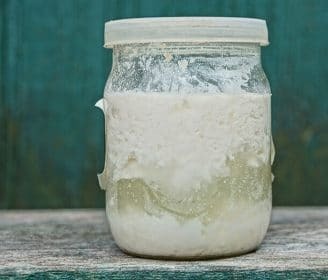 Here Are 4 Simple Toothpastes You Can Make at Home. TDL: How do you prevent dental disease? Dr. Stapleton: Start at an early age once the permanent teeth have erupted (around 6 months old) with diligent home care and have appropriately spaced professional dental cleanings by your veterinarian.